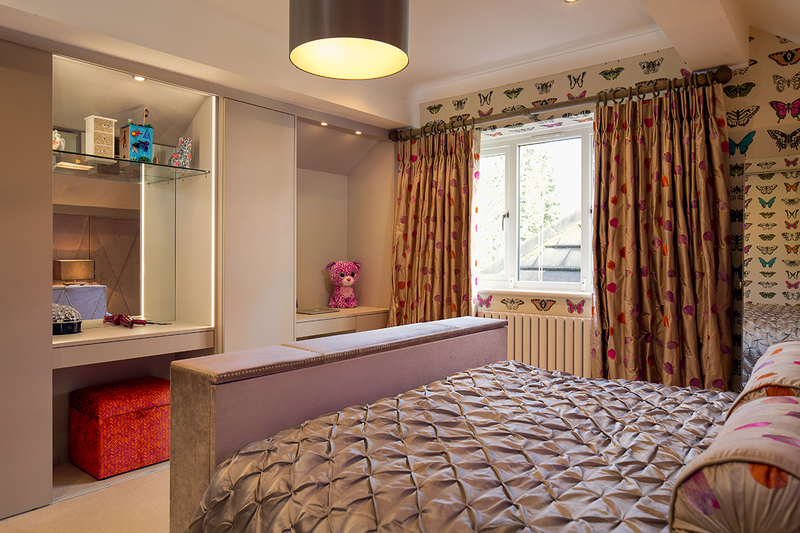 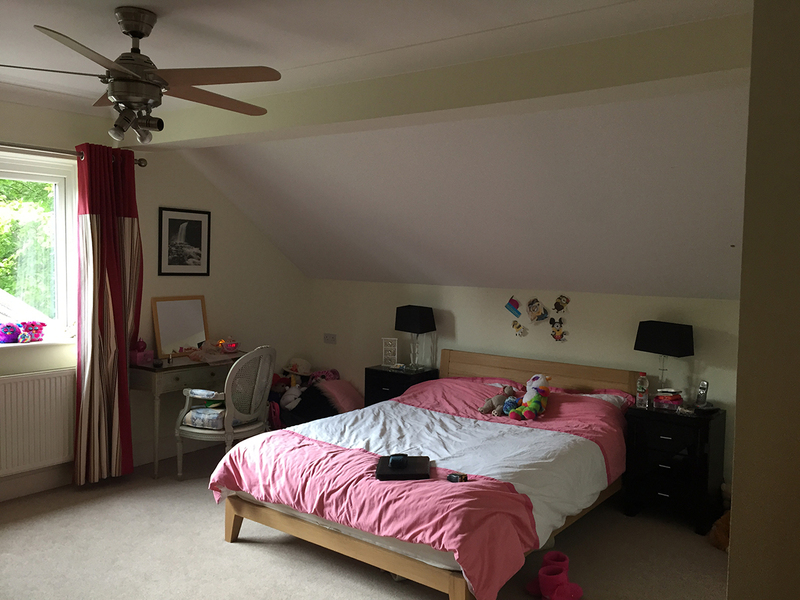 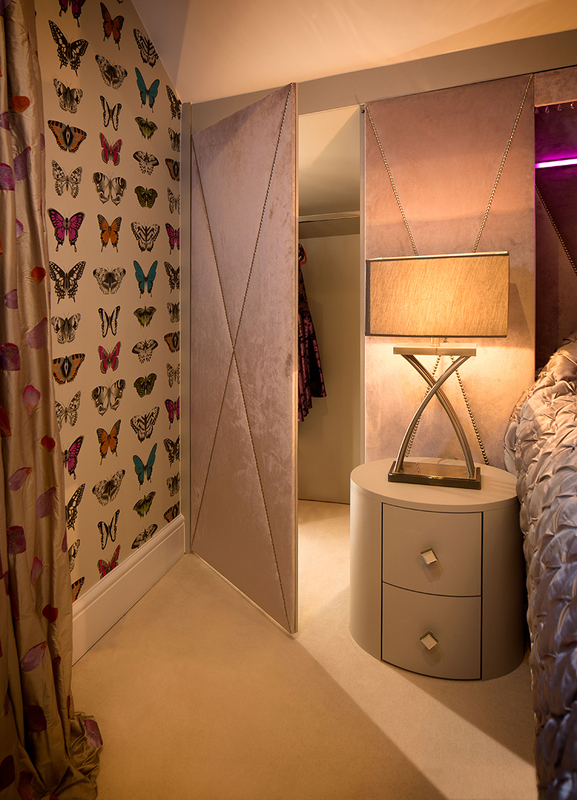 The client’s brief was to create a luxurious yet practical bedroom for their 9 year old daughter. 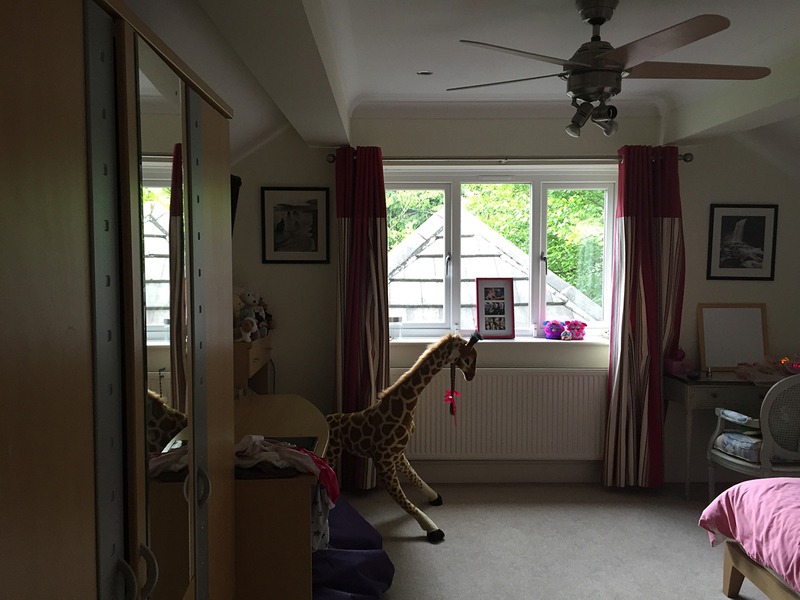 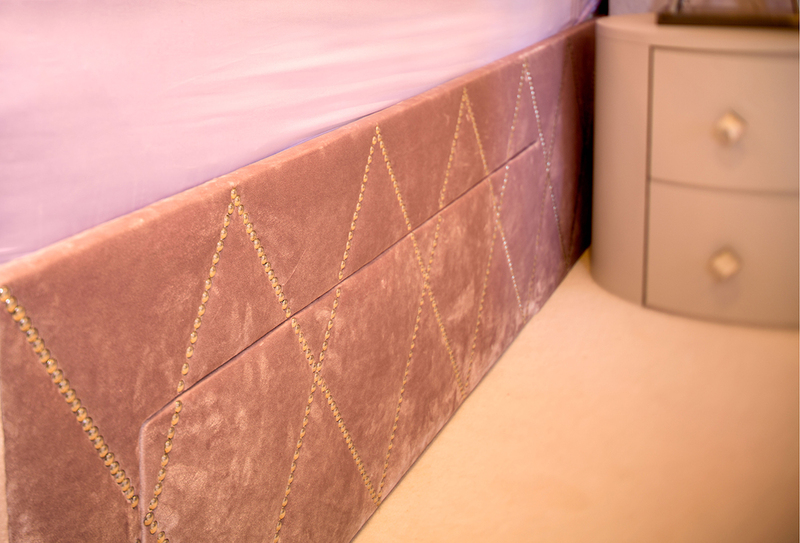 Using pastel colours, beautiful wallpaper, bespoke pop up TV unit and secret cupboard spaces, we transformed the space into a luxurious room with a ‘princess feel’ for our lovely 9 year old client. 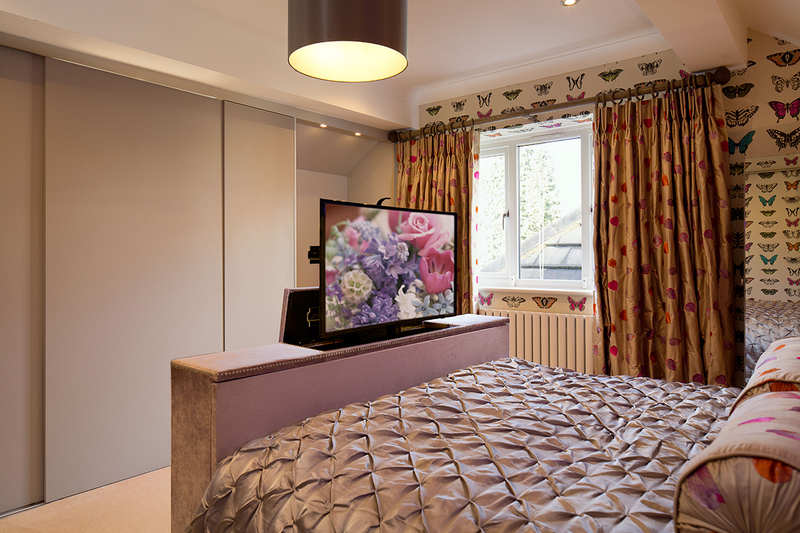 One of our aims was to create plenty of storage with hardwearing laminates and fabrics. 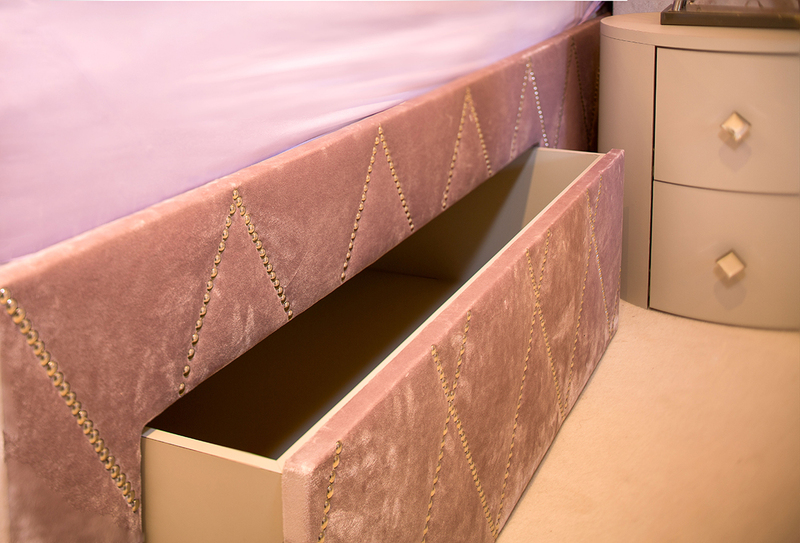 We utilized the awkward ceiling to our advantage to create a ‘secret wardrobe space’ behind the bed. 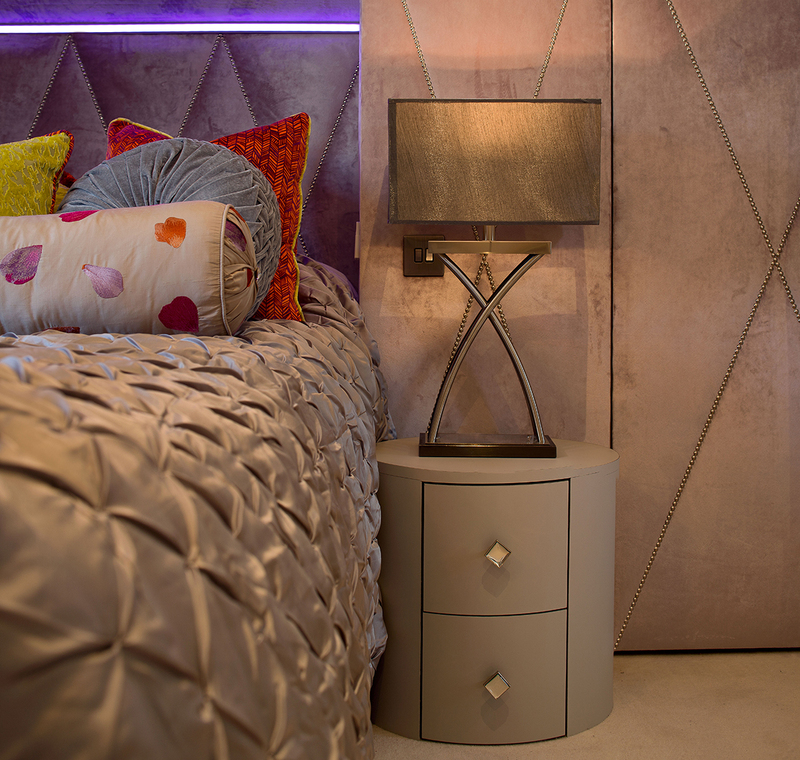 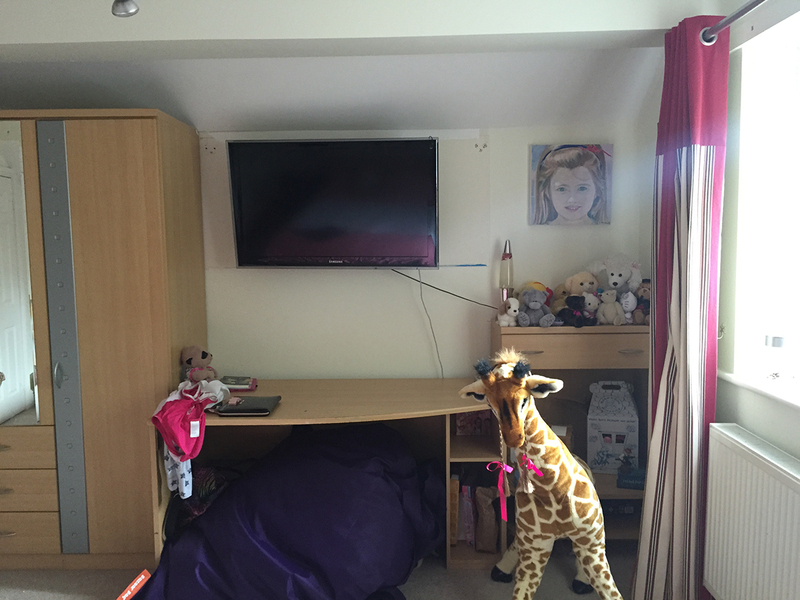 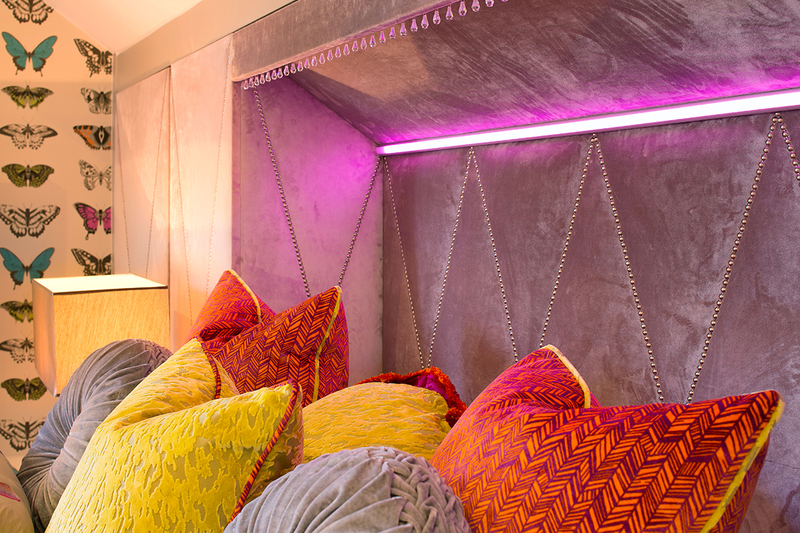 This not only created a luxurious headboard with LED colour changing lights, it gave a playful space for a 9 year old girl but also plenty of storage for a future teenager. 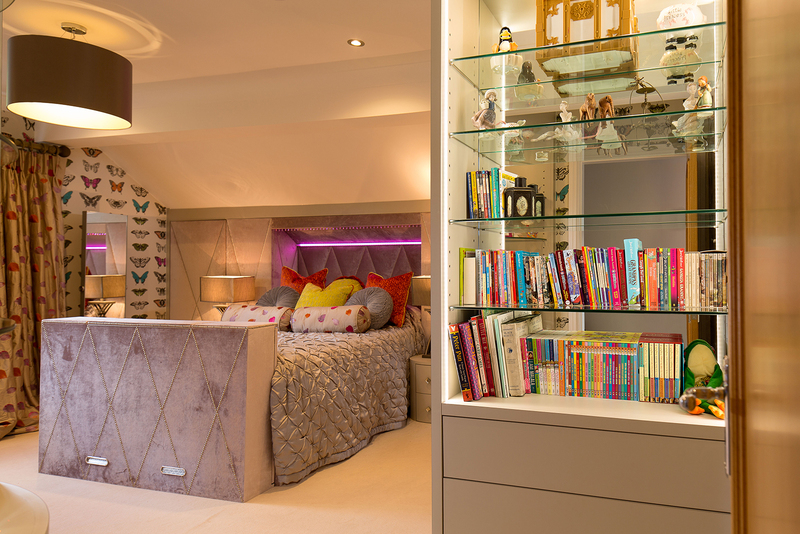 The sliding door cupboards opposite the bed allow for plenty of shelves, hanging spaces, a study and a dressing area. 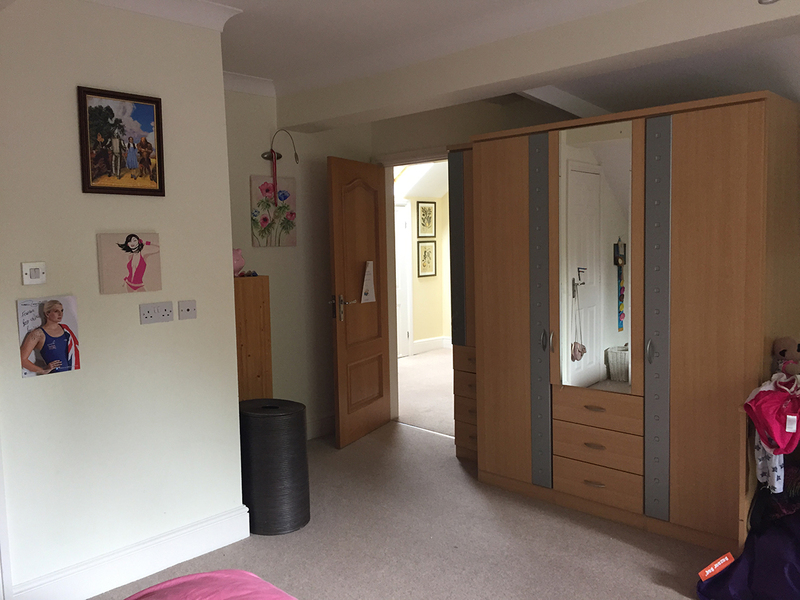 One of the key features for this cupboard is the dressing area, which has a sliding door to cover any storage.